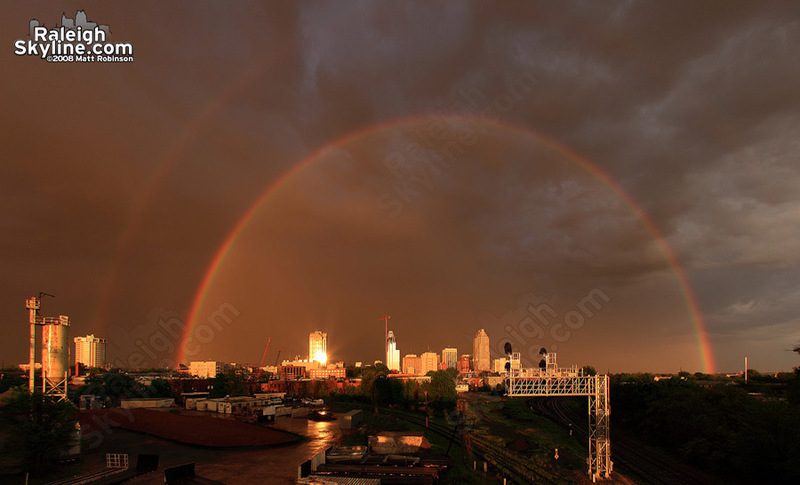 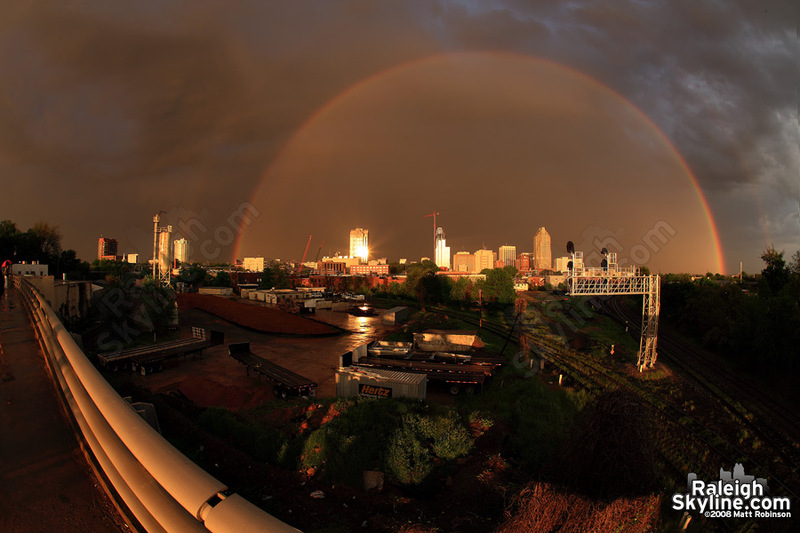 The sun dipped under clouds just in time Sunday night to create a high arched rainbow over downtown Raleigh along with golden skies. 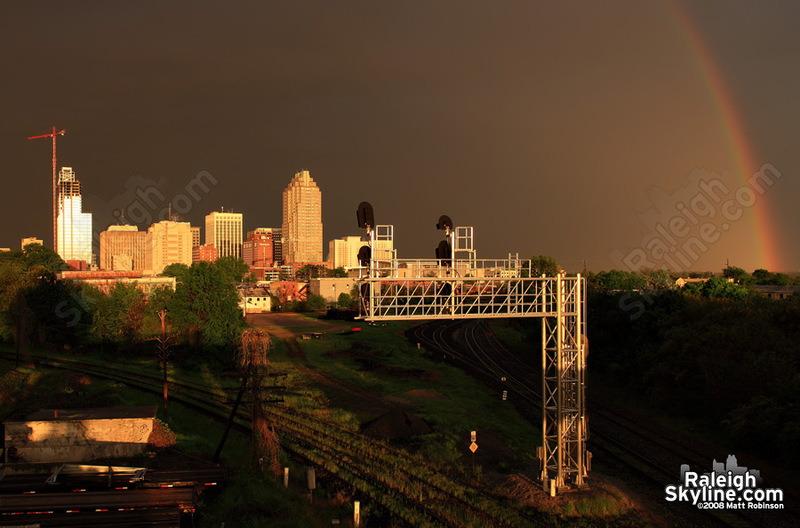 Anticipating this, I waited at the Boylan Avenue Bridge, and nature didn’t disappoint. 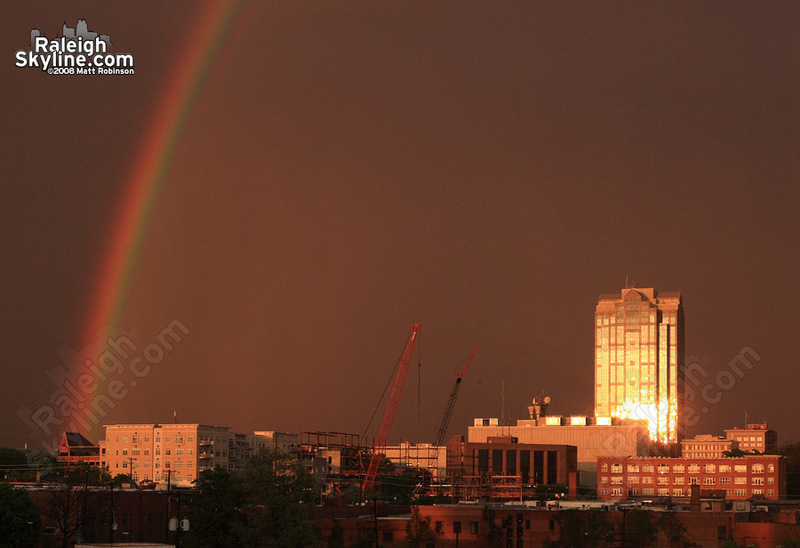 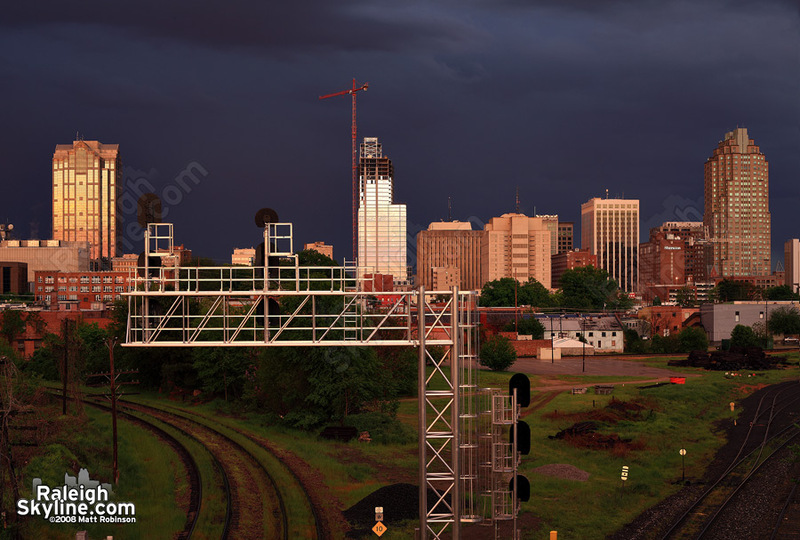 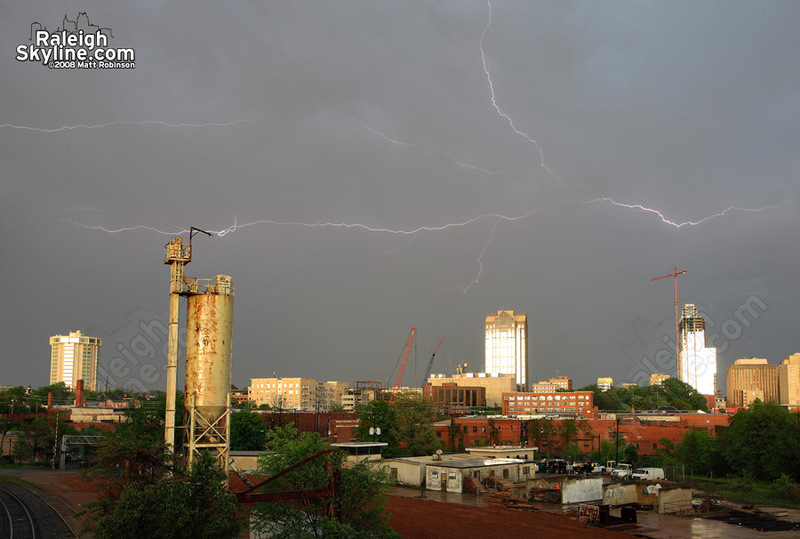 Rainbow over downtown Raleigh A pot of gold was found at the intersection of Hillsborough and Dawson Raleigh rainbow Raleigh rainbow A rainbow surrounds downtown Raleigh Earlier “Anvil Crawler” lightning before the rainbow. 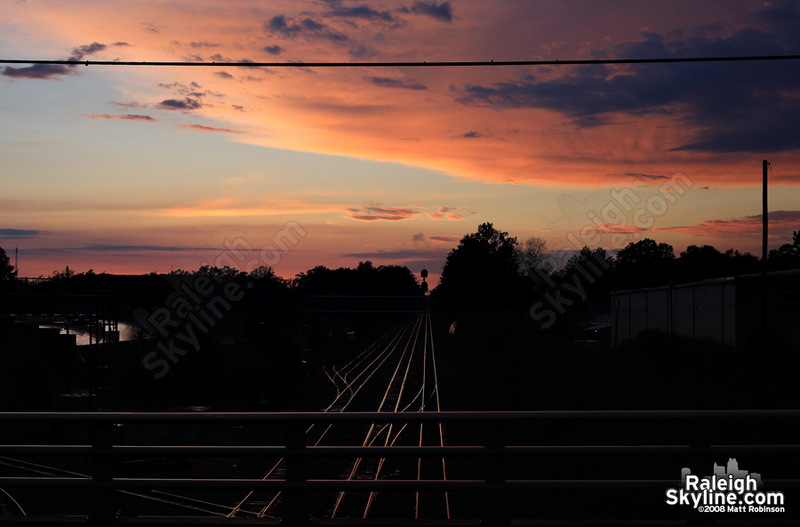 After the sun set, nice colors remained. 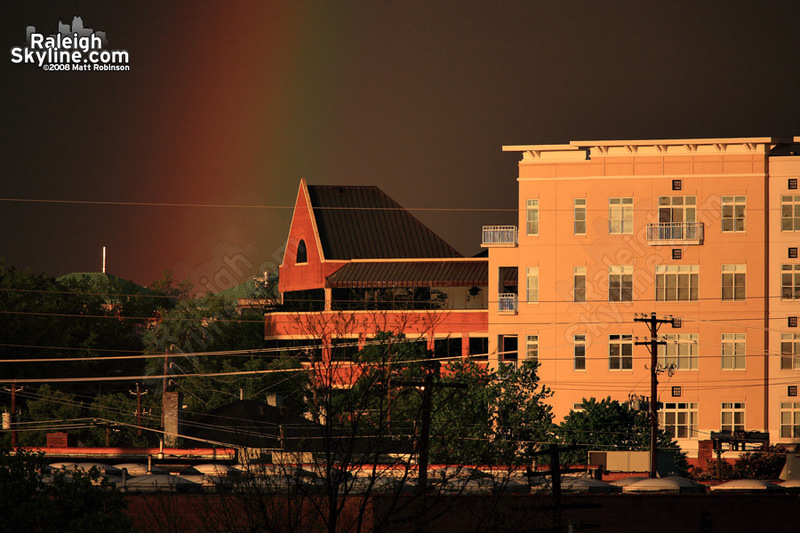 Looking west after all was said and done.